For those who love Shakespeare, he wrote two plays about this king – he wanted to say so much that he couldn't get it all into one! 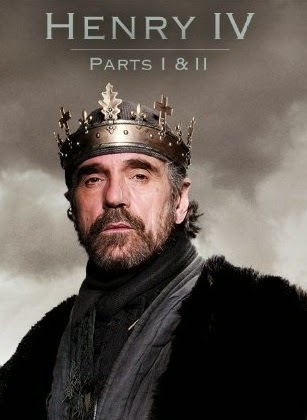 Henry IV parts 1&2 were the centre part of the stunning BBC series The Hollow Crown. He was a leading international competitor on the field of arms – a champion at tournaments. He was the grandson of Edward III, son of John of Gaunt, and cousin to Richard II. He was heir to extensive lands and titles, including Duke of Lancaster, Earl of Derby, Lincoln and Leicester. He was raised at court with the future King Richard from the age of nine. At the age of 21, he was one of the five Lords Appellants who confronted King Richard and rebuked him for misgovernment. When he quarrelled with Thomas Mowbray in 1398, they were due to meet in formal combat to settle the dispute, but the king stopped it at the last minute and banished them both. When his father died, the king seized all of his immense inheritance and banished him for life, provoking Henry to return to England to regain his inheritance. On July 4 1399 he landed at Ravenspur in York with 300 men, but quickly gained increasing numbers as he marched south. Richard was betrayed and ambushed and locked in the Tower of London. Henry had taken the throne by force. During his reign Henry had trouble with the Scots, the Welsh under Owain Glyndwr, and conspirators led by Henry Hotspur. Although he prevailed, Henry felt less and less secure. As his health failed he relied more and more on Prince Hal and his chancellor Archbishop Arundel. He suffered a long nightmare of pain and debility which eventually affected his mind and left him an invalid, and died aged 55.